The origins and history of glyphosate and the effects pesticides have on the environment and human health. 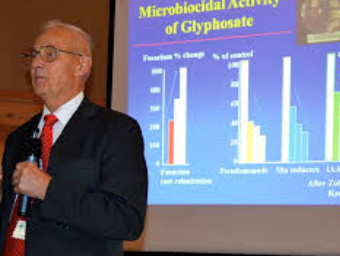 Glyphosate is the herbicide made famous by Monsanto as part of its “Roundup” formulation. Word has it that this history and the story of Don’s background in the military – he was a Colonel in the US army – is one of the most riveting presentations people have seen. So, a not to be missed opportunity for us here in Auckland with its entrenched attitude that the “spray is safe”.